Spreading 5,000 miles from west to east, Russia is the world’s largest country. It shares it land borders with Norway, Finland, Estonia, Latvia, Lithuania, Belarus, and Ukraine to the west, Georgia and Azerbaijan to the southwest, and Kazakhstan, China, Mongolia, North Korea to the east and much of the south. 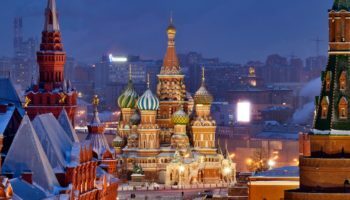 While geographically mostly in Asia, the bulk of Russia’s population is concentrated in the European part and, culturally, Russia is unmistakably European. 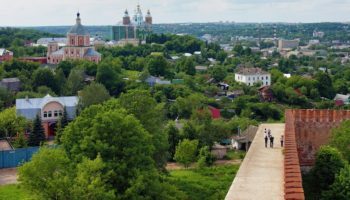 From frozen Siberian lands to volcanic regions and the bustling cities in between, Russia offers more than any tourist can experience in one vacation. 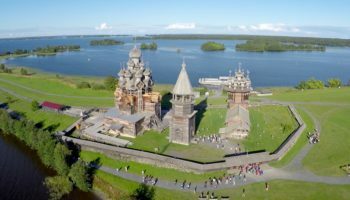 For this reason, it is suggested that tourists focus on the country’s two major cities, Moscow and St. Petersburg, which present the highest concentration of popular attractions. 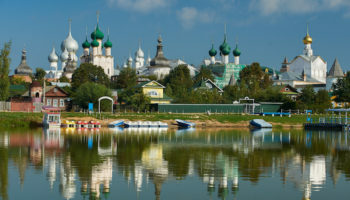 Moscow, Russia’s capital city, is home to prominent landmarks such as Red Square and the iconic St. Basil Cathedral. Also located by Red Square is the Kremlin, a massive walled complex of government buildings and palaces that is home to the Russian president. St. Petersburg’s main attractions include the Winter Palace, which showcases the wealth and power of Imperial Russia. Housing more than 3 million artifacts and art works from Europe, Asia and Russia, the Heritage Museum is the greatest of its kind in the world. Outside the cities, the remote and wild Kamchatka Peninsula is popular for its volcanic region, hot springs, geysers and variety of wildlife. 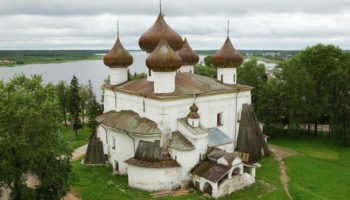 Located by Lake Onega, Kizhi Island is a huge open-air museum of historic buildings and artifacts where tourists can learn about traditional Russian peasant life. Because Russia is a vast country, the rail system is perhaps the best way to get around. 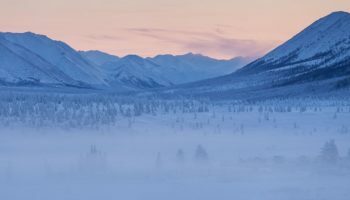 Stretching across the entire length of Russia, the Trans-Siberian Railway journey offers a great number of interesting sights and spectacular landscapes.